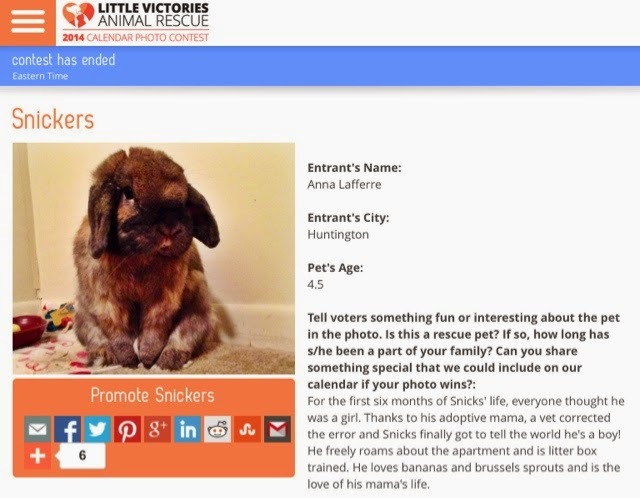 Anna who is Magic: Rabbit of the Month! I have always known that Snicks is the best and cutest rabbit on the face of planet earth, and now the whole world (or at least the greater tri-state area) will know what I've known for years. If you voted for him, thank you for helping him realize his dream of being in a calendar!